California's Ninth Circle, purveyors of classic and fine American melodic heavy metal, return with their third album, Legions of the Brave. Even better, they'll be getting some more international attention as they are signed to Germany's Pure Rock Records. Ninth Circle: what's up there? While I suspect they have, if the EU 'keep it true' metal underground hasn't heard of Ninth Circle, they are going to eat up this disc. Perhaps the most simple reason for this is that Ninth Circle's metal is not merely 'American' but universal. 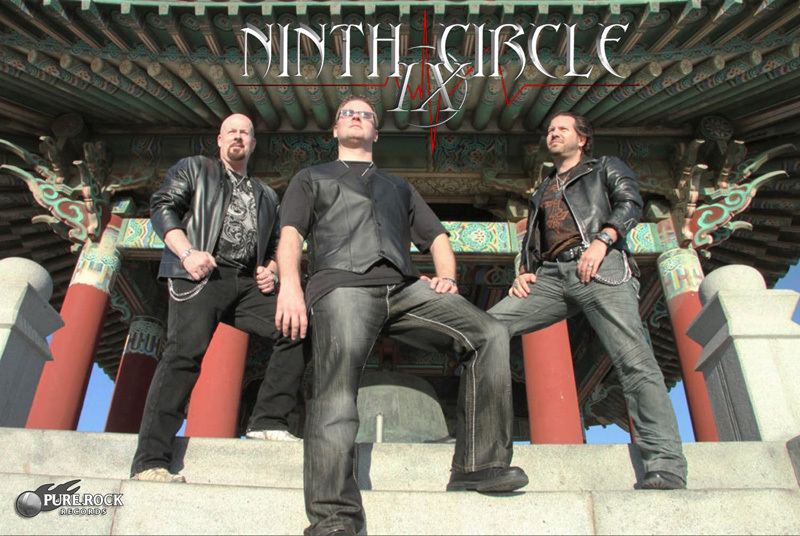 Whether you want to start with Uk's Iron Maiden or simply name your country and favorite traditional melodic heavy or power metal band, Ninth Circle will resonate with you. Other reasons are obvious: their strong emphasis on melody and harmony, whether in vocal arrangements or guitar riffs, a precise rhythm section, a touch of atmosphere from symphonic keyboards, and then those terrific metal solos flying from Dennis Brown's skillful guitar playing. Ninth Circle also has uncanny knack of bringing in some AOR accessibility to their metal, making songs like After The Rain or Living on the Sun sound superbly catchy. I think also they may have tweaked their sound or upped their game as there seems to be some slight progressive metal nuances floating about, notably within Legions of the Brave or All Or Nothing. But could just be ears and mind wanting to see this band get even better. However, they aren't going to get better when they try to make Deep Purple's Stormbringer into a power metal song. I don't want to say they totally trashed it, but it's one for the skip button. Otherwise, despite that bump, Legions of the Brave is a another terrific melodic heavy metal album from this talented trio. Strongly recommended. 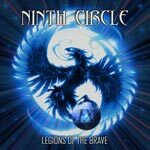 Legions of the Brave is a another terrific melodic heavy metal album from Ninth Circle. Strongly recommended.